On March 19, 2019 Chief Engineer Barfield delegated to Constance (Connie) Owens the authority to serve as the presiding officer in the matter of considering Wichita’s proposed changes to its Aquifer Storage and Recovery (ASR) project, postponing the formal phase of the public hearing previously scheduled for March 26, 2019. Hearing Officer Owen will conduct a hearing among the formal parties and provide written recommendations to the Chief Engineer based on the record after such hearings are complete. A new date for the formal phase of the hearing will be announced in the near future. The formal phase of the public hearing on proposed modifications to the permitting of Wichita’s existing Aquifer Storage and Recovery (ASR) project will be held on March 26, 2019, continuing to March 27 if needed. The public hearing will be held at ICM, Inc. 125 N. 1st Street, Suites 2 and 3, Colwich, KS. While this phase is principally for the former parties, it is open to the public and verbal comments from the public will be accepted at 11:00 a.m. and 4:00 p.m on March 26.  Wichita’s proposal, a brief summary, public comments received to date including transcript of the December 11 meeting, and more available on the KDA’s web site at https://www.agriculture.ks.gov/WichitaASR. Get notified when a new update is posted.